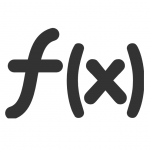 What is DSUM function in Excel? 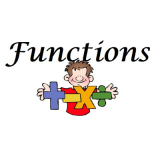 DSUM function is one of Database functions in Microsoft Excel that adds the numbers in a field (column) of records in a list or database that match conditions that you specify. Database: The range of cells that makes up the list or database. 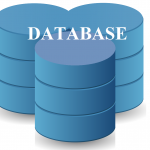 A database is a list of related data in which rows of related information are records, and columns of data are fields. The first row of the list contains labels for each column. Field: Indicates which column is used in the function. Enter the column label enclosed between double quotation marks, such as “Age” or “Yield,” or a number (without quotation marks) that represents the position of the column within the list: 1 for the first column, 2 for the second column, and so on. Criteria: Is the range of cells that contains the conditions that you specify. You can use any range for the criteria argument, as long as it includes at least one column label and at least one cell below the column label in which you specify a condition for the column. You can use any range for the criteria argument, as long as it includes at least one column label and at least one cell below the column label for specifying the condition.For example, if the range G1:G2 contains the column label Income in G1 and the amount $10,000 in G2, you could define the range as MatchIncome and use that name as the criteria argument in the database functions. 1. Open a new Excel worksheet. Note: For formulas to show results, select them, press F2 key on your keyboard and then press Enter. You can adjust the column widths to see all the data, if need be.